How To Optimize Your Content10 Benefits of Working With a Large Marketing Agency in Fort Lauderdale! There is a common misconception when it comes to SEO, and that is once you know it you don’t have to worry about it changing. However, this is not the truth at all. Just like any other trend or strategy in business, some things changed and advanced when it comes to search engine optimization, and it is the job of the SEO professionals to stay on top of these shifts because if you fall behind so will your ranking in search results. 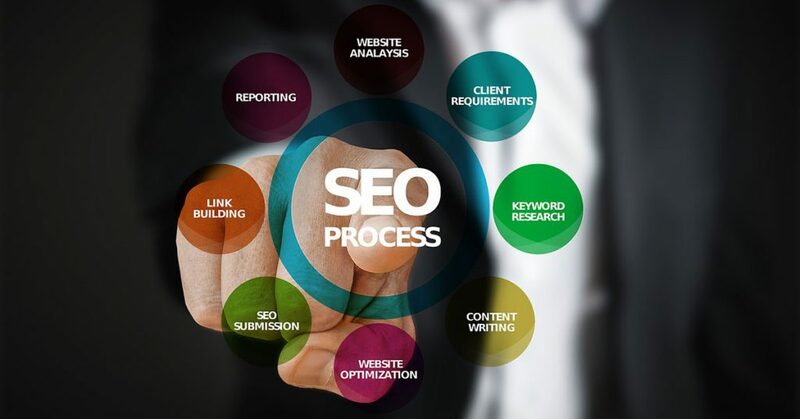 The search engine optimization Miami company, MyCity Social, has been a leader in the Miami area for many years because they continue to stay on top of the trends for Miami SEO and refuse to fall behind. Obtaining great SEO results goes beyond picking the right keyword and placing it throughout a website. To get the results your company truly desires you have to strategically map out your website or blog and stay on top of the ever-changing technological world. Understand your target demographic: This sounds like a simple thing. Every company thinks they know what their consumers want, but do you truly understand what they are looking for is the question. Having a real grasp on what your audience wants goes deeper than just knowing what they are looking to buy or research you need to know their preference when it comes to reading articles online or researching websites. For example, do they prefer images, text, videos, or audio? Not knowing these things could be detrimental to your SEO results. If someone is only interested in seeing pictures and not reading that much, but your website is overloaded with text information that person is going to skip over your site entirely without even giving it a second thought, so you’ve lost someone before you had the chance to capture their attention. It won’t matter if your content is perfectly crafted, formatted, and optimized if it’s written for the wrong audience it isn’t going to grow your business. According to the Miami SEO experts and others around the country in 2019, it is even more imperative to understand the desires of your audience. However, they also agree that having this knowledge is even more difficult in our current times because people’s interests are changing so rapidly that it becomes almost impossible to stay on top of what everyone is looking for. The companies we see holding the highest ranks in regards to SEO are going to be the ones that are all about the audience. Of course, like any great topic, there is a debate on whether or not it is best for companies to focus on broader terms in regards to keywords or look further into the “funnel” at keywords that will draw the attention of consumers that are more invested in a particular topic. Focusing on keywords that are more specific and gaining the attention of individuals who are more interested and more likely to buy a product seems like the best way to go. The people who are going to be drawn towards a broader topic or more likely to lose interest in a product or service and move on to something. Whereas people who would be attracted to a more specific keyword are already invested in what the company is trying to push so, you are more likely to retain their attention. In 2019, it’s time to stop matching keyword phrases because although it worked in the past, this is not going to draw traffic to your site the way it did in the previous year. This year it is imperative to make sure your content and keywords are answering the questions your audience is asking in their searches. Looking to take it a step further? In order to stay ahead and on top of SEO trends try to create content that not only answers the questions that your audience is asking during their search but try to anticipate and answer potential follow-up questions they may have after they receive a response to their initial query. Take it beyond Google: Let’s be honest, there is a reason people say “Google It!” Over the past few years, Google has been the driving force behind all online inquiries and answers. It has also been the main source of SEO specialists to use when doing their research for optimization. However, like everything times are beginning to change and new sources are becoming just as prevalent as Google. For example, Amazon is becoming a huge competitor in the online space and although it is not a typical “search engine” many people are using it to search for products. In order, to stay on top of trends in 2019 companies need to be focusing on how to appear beyond the first blue link of Google and take into account these other sources for searching. Thinking outside of the box, even more, we are completely immersed in the world of smartphones and apps so places like the “App Store” or “Galaxy Apps” are now becoming relevant to companies. If your target audience or potential consumers are searching in these app stores, you now need to find a way to rank in there. Companies need to become multi-faceted when it comes to their SEO. Another technological advancement that needs to be considered in 2019 is the use of devices. We have seen the usage of laptops, tablets, and smartphones for years now, but the term device is now gliding past those. We are now in a world with “Alexa,” “Google Home,” “Siri” and other home assistant and smart devices. Optimizing for these technologies cannot be ignored. If companies choose to overlook the benefit of these things they are going to be very disappointed in their traffic this year. When search engine optimization first became a concentration, it was all about driving traffic, getting people to get to your site. However, SEO has moved beyond that goal and is now focused on optimizing the entire search experience. The more you engage your consumers in the search experience the more they are going to invest in you. Companies need to find a way intersect the buyer’s needs with their site’s offerings most engagingly and efficiently possible. Key to success= structured data: Structured data is precisely what it sounds like. It refers to information that is extremely well organized and easily accessible. Having structured data allows search engines like Google to easily “crawl” through your site to locate the required information quickly. However, if your data is unstructured and it takes too long for the search engines to find the information your site will be left behind. Experts say that in order to move SEO forward companies need to examine and understand structured data, schema, and passive/active search behaviors. Learning more about these patterns will help businesses understand consumer intent. Relationships between topics and consumer behaviors is a significant trend to focus on and comprehend for 2019. Utilizing metadata, information architecture, and tags allow search engines to receive signals and understand the content. The best piece of advice experts can give in regards to structured data in 2019; companies need to use and understand appropriate schema vocab and structured data on product pages, offers, and events to optimize their sites. Remarkable content: In 2018 Google announced that their algorithm was now going to be intensifying its focus on the quality of content found on websites. Sites that provided exceptional content soared in rankings because those companies took the time to ensure that the information being presented was of the highest quality. Experts seem to think that in 2019 Google will continue to evaluate the content of websites and reward the sites that provide the highest quality content. People within the Google company have told SEO experts that throughout the year the algorithm Google uses has continued being tuned to examine websites’ content more in depth. What exactly does this mean? Well, if you are creating content just for the sake of creating it and to keep your blog and website alive won’t be good enough for Google any longer. The major problem with this type of content creation is that its quality isn’t good enough to acquire external links, which means there is a slim chance that it will rank in Google searches. It is better to take the time to produce one post of high quality instead of multiple low-quality posts because one with great content is going to have a higher payoff. Creating good content is about creating a story, solving a problem, making connections, and motivating/moving people. The language utilized throughout the content needs to engage people and guide them to the next action. Establish yourself: Another trend for 2019 is establishing your and your company’s expertise, authority, and trustworthiness. What exactly does this mean though? Well, simply put Google is becoming smart enough to recognize when someone is writing about something that they are just pretending to be an expert rather than actually being an expert on the topic. Companies should invest in hiring experts on issues they want to cover because without them you may see a decline in your rankings on search engines. If people feel they cannot trust what you’re putting out there than they are no longer going to read or engage with your site or company. Search engines will continue rewarding companies that demonstrate expertise, authority, and trustworthiness in the field they are servicing. MyCity Social is a digital marketing agency located in Miami that has become known as search engine optimization Miami. Their goal is to use their advanced knowledge to assist their clients in gaining the results they have seen throughout the years. Call or visit us today to learn how the experts in Miami SEO can help you and your business grow!